This year ISIF Asia will award USD 210,000 to 10 organizations in the Asia Pacific to support research and development of Internet technologies for the benefit of the region. This year’s funding round marks our 10th anniversary of operation in the Asia Pacific. We received 236 applications in total for the four funding categories that were announced earlier this year. The applications came from 28 economies across the region. We were very excited to see that around 60% of the applications received were submitted for our new “Gender Empowerment and Innovation” category. It was also very encouraging to receive applications from economies that have never applied for our funding before. Similarly, the application process reflected a variety of stakeholders working towards the development of the Internet. We see those as great indicators about the relevance of ISIF Asia as a mechanism to support the development of the Internet across the region. The funding will be distributed among organizations representing a wide variety of stakeholders: Government (1), Civil Society (3), Private Sector (2), Social Enterprise (1), and Academia (3) as well as very interesting geographical spread across 9 economies: Bhutan, Cambodia, China, Indonesia, Malaysia, Pakistan, The Philippines, Myanmar and Sri Lanka. The ISIF Asia 2018 Award winners will each receive USD 3,500 plus a travel grant to the 2018 Internet Governance Forum (IGF) that will be held in Paris, France from 12 to 14 November 2018. Their work will be featured as part of the Seed Alliance Awards ceremony, which will be held on 13 November 2018. 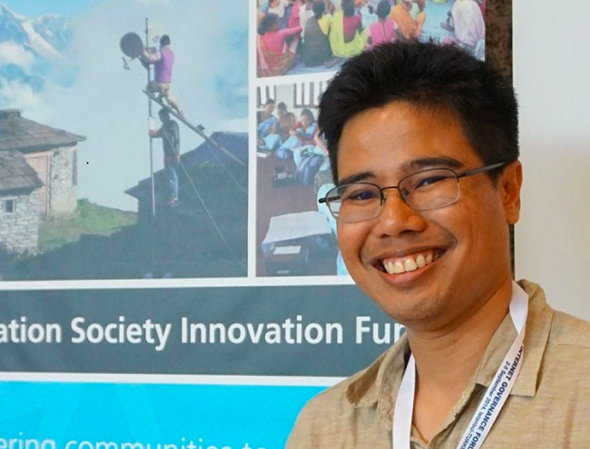 “The 2018 ISIF Asia Award winners are truly innovative initiatives, where access to Internet technologies with a social purpose, clearly show a positive impact to improve the lives of people in the communities they serve in the Philippines and Myanmar. Their experiences and knowledge help overcome the challenges that the developing world faces,” Duncan Macintosh, APNIC Foundation CEO said. Community Cellular Networks in Rural Aurora, University of the Philippines – Diliman, The Philippines. In partnership with a local telecom, the team has developed and deployed a GSM Community Cellular Network in rural Philippines to bridge ‘last mile’ connectivity issues in isolated and relatively poor communities. As of 2017, they have also begun deploying them in partnership with local NGOs, primarily cooperatives, to provide basic cellular services to subscribers. Tech Age Girls Myanmar, Myanmar Book Aid and Preservation Foundation, Myanmar. This initiative has successfully supported female community leaders (aged between 16-20) through the ‘Tech Age Girls’ program from community libraries that have been playing a key role in digital inclusion and gender equality in Myanmar. The finalists are selected to implement their own community projects ideas to support their communities. As Head of Programs for the APNIC Foundation, I am really impressed by the proposals selected for the ISIF Asia 2018 Grants and how they highlight the main technical, operational and development issues that concern the Asia Pacific Internet community. I am confident the outcomes of their work will continue to support an open, stable, and secure Internet that serves the needs of the people in our region. The APNIC Foundation is particularly glad to see how the distribution of funds reflect regional and stakeholder diversity and the clear links that every project has to achieve the UN’s Sustainable Development Goals. Measuring and Detecting Network Interference in Southeast Asia, Sinar Project, Malaysia. Grant award: USD 20,000. This network measurement research aims to show current and past Internet censorship and network interference in media, political criticism, religion, gender and social media networks in South East Asian economies using network monitoring nodes around the region. There will also be a pilot gender gap social audit conducted for a marginalized urban community in Malaysia to research and measure non-technical gaps in Internet access such as affordability, Internet literacy, knowledge or rights, and accessibility and availability of gender-related content. Establishment of a Carrier Neutral Software-Defined Internet Exchange (IXP) Point and Training Programs for Capacity Building in Managing IXPs, Lahore University of Management Sciences – LUMS, Pakistan. Grant award: USD 30,000. This project aims to deploy a Software-Defined IXP and training programs for IXP development in Pakistan to assist operators to enable new applications such as application-specific testing, traffic redirection through middleboxes, and inbound traffic engineering. While the project centres on a Pakistan IXP, it will eventually be made available to other least developed economies in the region. Another benefit of the project will see costs associated with IXPs reduced via automatic configuration management and dynamic policy assignment. Community LTE in Papua, Yayasan Noken Baliem Mandiri, Indonesia. Grant award: USD 23,000. This project seeks to deploy the first locally-owned and operated handset to support LTE networks in the world to rural Papua, Indonesia, using low-cost eNodeBs and a custom developed enhanced packet core. 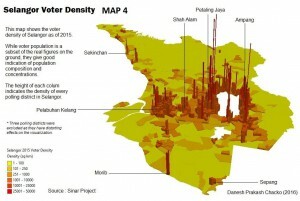 YNBM was granted a special experimental cellular license to explore this new rural access technology in Indonesia by the Indonesian Telecom Ministry. Connecting the Unserved – Bhutan’s First Trial with TV White Space Technology, NANO, Bhutan. Grant award: USD 30,000. Given Bhutan’s challenging physical environment and Internet connectivity issues, this project aims to explore the feasibility and suitability of TV white space technology as an alternative broadband option to unserved areas in the economy. RPKI Monitor and Visualizer for Detecting and Alerting for RPKI Errors, ZDNS Labs, China. Grant award: USD 30,000. 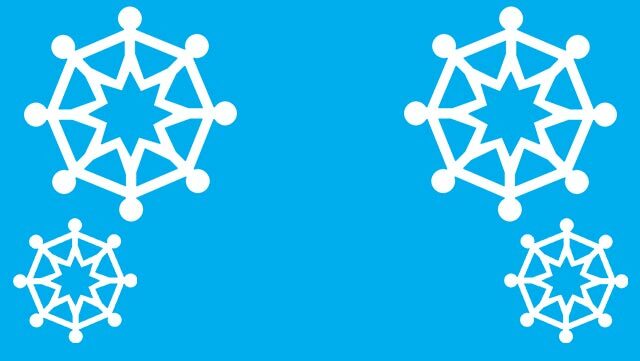 This project will implement a RPKI security mechanism to offer a distributed, stakeholder-based counter to the power imbalances arising from RPKI’s hierarchical system. The proposed mechanism detects adverse actions in the RPKI and alerts resource holders to these actions that adversely affect their holding, so that errors can be quickly fixed. The mechanism also enables each ISP to decide whether to accept or defer accepting PRKI database changes that appear to be adverse. 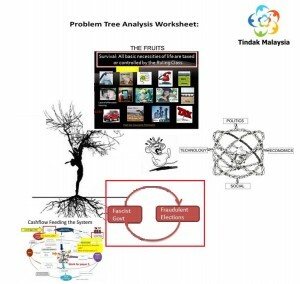 A novel graph analytics theory model to mitigate IoT botnets attacks for big data, Universiti Teknikal Malaysia Melaka (UTeM), Malaysia. Grant award: USD 13,000. This research aims to use the Graph Analytics Theory model to analyse the behaviour of IoT botnets using a reverse engineering approach to distinguish IoT botnets from raw infection codes and develop a new Graph Analytics Theory model for detecting IoT botnet attacks. The expected outcome of the research is to be able to remove and quarantine the suspicious codes as well as be able to detect behaviour changes in IoT devices. NextGen Girls – Internet Security Ambassadors Project, Shilpa Sayura Foundation, Sri Lanka. Grant award: USD 30,000. This project aims to upscale the ISOC 25 Under 25 Award winner, ‘Respect Girls on Internet’, by developing a network of university and high school girls studying ICT. The goal is to develop females to pursue emerging IoT security careers to help build a safer and secure IoT environment for women, including training 40 female university students to become Internet Security Educators. Increasing the Safe Use of Internet by Women and Girls, Child Helpline Cambodia, Cambodia. Grant award: USD 22,000. This is a project to strengthen the capabilities of 16 existing helpline ambassadors on the safe use of the Internet and how to report online abuse to Child helpline Cambodia. The 16 ambassadors will organize five pilot ‘echo awareness’ sessions on the safe use of the Internet for girls and women in their communities. The project will also support: free helpline telephones; an online question and answer platform, with information on the safe use of the Internet and gender equality; response to reports of online abuse; and refer victims to psycho-social support services. The APNIC Foundation and ISIF Asia thanks all the applicants for sharing their ideas with us, the Selection Committee members for their hard work to arrive to this great outcome, and to APNIC, the International Development Research Centre (IDRC) and Internet Society for their generous funding contributions for 2018. With nominations for the ISIF Asia Awards 2016 now open, we thought we’d check back with some of our previous award winners to understand how the award benefitted their projects and get some advice on what to include in your nominations. Khairil Yusof is the cofounder and coordinator of the Sinar Project, which received an ISIF Asia Grant in 2013 in recognition of their work using open source technology and applications to systematically make important information public and more accessible to the Malaysian people. Established in 2011, the Sinar Project aims to improve governance and encourage greater citizen involvement in the public affairs of the nation by making the Malaysian government more open, transparent and accountable. What are the benefits of these kinds of Grants/Awards? These awards and grants recognize the difficult and highly technical work that a few civil society organizations do, which is often not understood or appreciated by other traditional awards or grants (for Rights) programs. Also, being invited to an award ceremony at large event such as the Internet Governance Forum (IGF), provides you with lots of exposure in an environment where you can meet potential partners and donors that understand your work. What were three key outcomes that the ISIF Asia Grant allowed you to achieve? The money from the Grant helped our part-time/volunteer effort to register as a proper organization. It also helped one of our founding members to work full time on funding applications. Attending the IGF in Turkey provided us with the opportunity to speak with potential donors, which eventually led to initial funding for the establishment of Malaysia’s first fledgling civic tech NGO, and allowed us to continue our work full time. How has your project progressed after receiving the Grant? The opportunity to showcase our work to donors led to further funding, which helped with consolidating open standards government data. In turn, this provided open data via REST APIs. What should nominees include in their applications? Don’t be shy with sharing your methodology and the insights you’ve learned along the way, even if you might think it is trivial. If you’re a very technical team, run your methodology by non-technical friends or family members to get their insights. What you think is mundane, might be inspiring to others. Review all the outputs you have done; blogs, reports, software, photos, etc. If you’ve been passionately working on your ideas and project, you will be surprised at how much you have achieved. List the highlights in your proposal and reference the other outputs in an appendix or link. Do Google alerts for mentions and links to your project. It might feel a bit narcissistic, but again you might be surprised at who is referencing or mentioning your project internationally or is inspired by your project work. eHomemakers (eH), a Malaysian social enterprise with a vision to empower disadvantaged women, innovated and developed ECHO from the grassroot perspective. Necessity being the mother of invention, eHomemakers created the ECHO concept for non-profit organizations to save staff time and telecommunication resources as a means to overcome a lack of funding to market disadvantaged women’s ecobaskets. From an integrated tool for middle class volunteers to use email to coordinate activities at the least cost possible to a message recipient platform for the poor, ECHO has developed into a cloud-based organizational management system using internet-mobile. ECHO enables organization to reach out to large groups of people in diverse locations through email and SMS via a centralized database. Its latest technical feature enhancement provides user friendliness to the visually impaired persons in full compliance with international guidelines. With the help of a few national and international funders, 35 non-government organizations (NGOs) in Malaysia are now able to utilize ECHO and make substantial cost savings on their communications resources. Recent ECHO developments include deployment in Indonesia through HomeNet Indonesia (HI) for the purpose of increasing homeworkers’ fair wages. In alignment with Fair Trade concepts, HI uses its business center to bring homeworker members’ products directly to the market without recourse to middlemen. Target recipient’s mobile phones to receive and reply SMS. The mobile app was developed to allow android phones to act as SMS modems and thereby overcome the expense of renting SMS gateways from national telecoms providers. It represents a minimal cost solution to NGOs. HomeNet Indonesia (HI), also known as Mitra Wanita Pekerja Rumahan Indonesia (MWPRI), is a national network of NGOs that addresses concerns regarding the welfare and socio-economic well being of home-based working members. These workers generally are poor women with low education or literacy levels, live in rural and urban areas, and struggle to earn a livelihood through jobs issued from sub-contractors, middlemen or brokers. HI, in collaboration with eH, is currently paving the way for poverty alleviation through Fair Trade with the use of ECHO. In order for HI to pay a Fair Trade wage to its members, there must be cost reductions in administration, marketing, and procurement of raw materials. The use of ECHO allows for savings of up to 98% in costs associated with organizing. As an example situation, an HI business center staff member receives an Internet order of a product. This staff member then distributes a single ECHO message to 100 makers, whereby they are requested to each provide their own production number for this product. These makers revert to confirm their production amount, and the staff member next checks the cumulative total of quoted units against the number required in the order. The staff member can subsequently revert to the customer with a very fast turnaround to accept or decline his/her order, and initiate production activities. Admin costs without ECHO are much higher due to the necessity of phone calls, one-to-one SMS, or face-to-face meeting. The business center method provides efficiency gains that effectively enable Fair Wage (under Fair Trade principles), which allows the poor to receive better remuneration and lessen the trappings of poverty. Hurdles in deploying ECHO in HI can be categorized into either 1) technological, or 2) human aspects. Technological hurdles within Indonesia include unstable mobile signal coverage, latency in sending and receiving SMS (5 mins to 12 hours), and unstable Internet that delays SMS response. These drawbacks will be increasingly diminished in coming years, as Indonesia’s high economic growth spurs greater investment in telco infrastructure and a consequent better technology performance. Resistance to change is commonly found during organizational development phases. The ease of acceptance of ICT is far higher for younger home workers than for the older generation. Women home workers who have limited education often feel that they are too old to learn new technology, and some of them cite difficulty as the reason behind their reluctance to use SMS (send and reply). Calling from a phone kiosk is much faster for them, albeit at a far higher cost. An entrenched manual-based organizational work culture presents a barrier in implementing ICT, wherein a considerable amount of time is typically required for workers to internalize training session information and apply new ICT basic skills. This gap of understanding was found to exist among office workers above 40 years of age who were familiar with a paper-laden office culture, wherein decision-making was centralized and dictated by the top management. In such environments, lower level staff would print emails for senior staff to read, and transcript electronic replies on behalf of these senior staff. Changing from an NGO management style into one more suited to a social enterprise resulted in HI coming under considerable pressure to deliver: HI needed to get the business center moving as soon as possible and adequately organize homeworkers to produce quality products for sale. The staff of HI found themselves pushing to improve the prevalent mentality towards work and communication efficiency. Many ICT-based social development projects are experimental, and therefore new to the providers as well as the end-users. At this point, 300 out of 10000 HI members were selected to participate in the ECHO training course. Deploying ECHO in HI has led to change momentum being initiated, whereby participants recognized the inherent advantages and loosened their embrace of the old style. The use of ECHO for HI enabled the organization to realize the extent of their learning curve in order to cope with office ICT. A few key personnel have learnt additional IT-based project management skills and awareness of hitherto unknown tools such as online photo storage for products. HI members are becoming more aware of utilizing ICT and SMS, and are thus able to achieve greater reach with less cost and more effectiveness. Campaigns on issues related to women homeworkers are distributed through social media, and so become a source of information for cases, problems, and the needs of women homeworkers in Indonesia. It is acknowledged that HI requires more time to increase the capacity and spread the habit of using ICT, since HI staff and its members are not familiar with technology in their daily lives. Nevertheless, positive signs have emerged since the key phase of change momentum has been initiated. As such, the next step of reaching out to the remaining 9700 HI members is anticipated with a sense of optimism to match the altruistic vision of the founders. 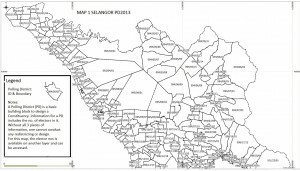 Malaysia has been governed by the same political party, Barisan Nasional, since it gained independence from the United Kingdom in 1957. 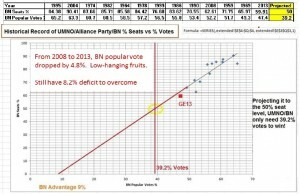 Barisian Nasional’s policies, which strongly favor ethnic Malay’s, have begun to lose support among young and minority voters, culminating in the 2013 elections when opposition leader Anwar Ibrahim won the popular vote. 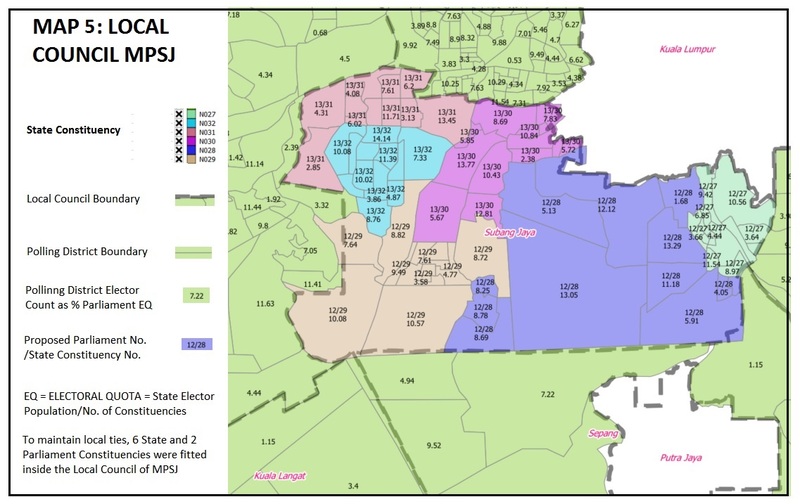 Despite the polling results, and amid allegations of voter fraud, Ibrahim lost the election. The 2013 elections were a high-level indicator of the systemic lack of transparency and accountability in the Malaysian political system. 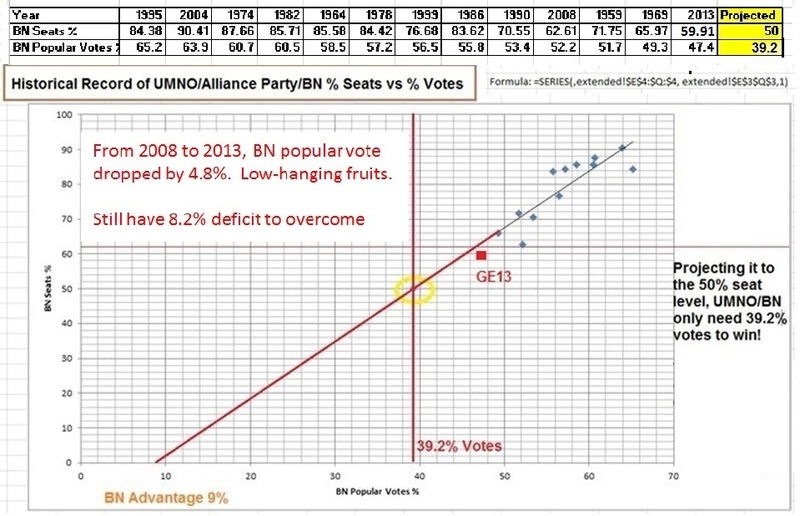 According to the World Bank’s Governance Indicators, Malaysia is in just the 37th percentile for “voice and accountability.” These measures indicate an individual’s ability to participate in selecting their government, freedom of expression, freedom of association, and a free media. 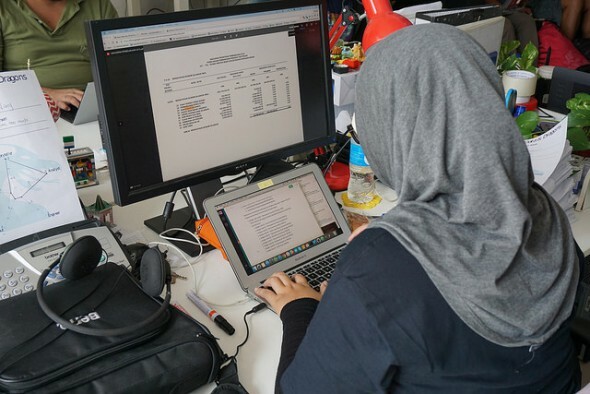 The Sinar Project, an ISIF Asia award winning non-profit organization, is seeking to fill the void in governmental transparency and accountability in Malaysia via open-source technology. Sinar is producing platforms which help monitor all levels of government, from local municipalities to parliament. In Ernest and Young’s 2013 Asia-Pacific fraud survey, almost 40% of respondents said that corruption and bribery are widespread in Malaysia. That figure is nearly double the average of the rest of the region. 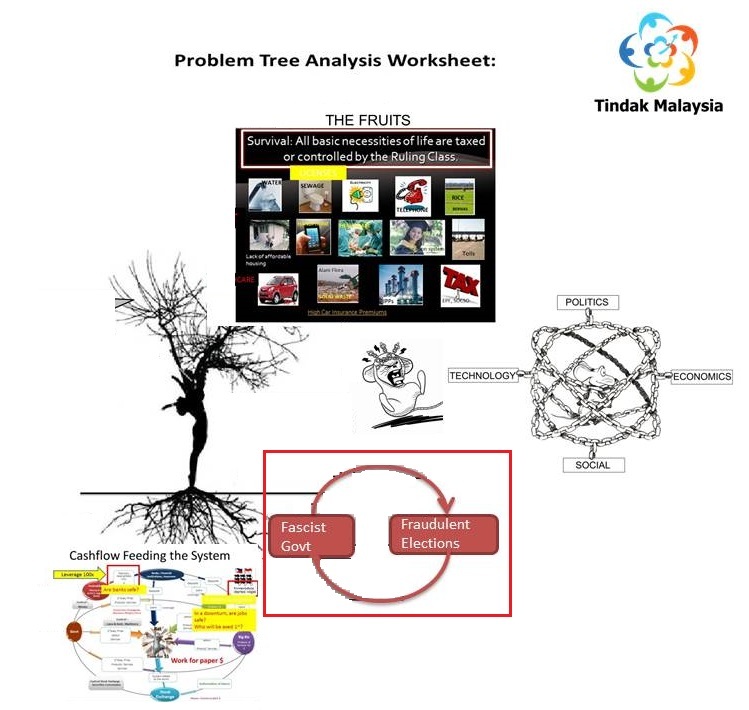 In order to bring awareness to the corruption of the Malaysian political system, Sinar launched their Accountable platform in 2012. Accountable is a web application which actively tracks the people, issues, and organizations related to Malaysian corruption. 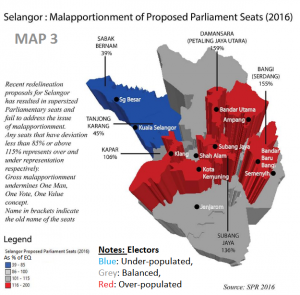 The data is presented in a searchable, tab separated manner, allowing the Malaysian public to easily monitor the activities of, and allegations against, their elected officials. Sinar will soon add an additional monitoring feature to Accountable, indicating the status of individual cases, including data on the case out come (i.e. false allegation, money returned, and criminal charges brought). A second anti-corruption tool that Sinar has developed is their Construction Industry Development Board (CIDB) database. Corruption in the Malaysian construction industry is at a “serious level”, according to the Malaysian Anti-Corruption Commission. Utilizing scrapers, the CIDB monitors and aggregates construction project data in real-time, producing a readable CSV document. The CIDB database provides detailed information on all public-private projects, including contact information for company directors, budgets, contractor details, and registration numbers. Sinar’s most advanced accountability project, AduanKu, was launched in January of 2014. The platform enables users to report problems (think potholes, faulty street lights, etc.) directly to their local municipalities. Problems can be reported through a web portal with a smartphone or computer, and an app-based platform is coming soon. Once a user submits a problem, AduanKu sends an official report via email to the relevant Council. 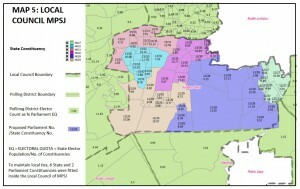 These reports contain mapping info of the problem location, a detailed description, and photographs when available. The local user is then able to monitor their council’s response, and utilize a feature in AduanKu to publicly comment on whether appropriate action was taken. This interaction makes local municipalities directly accountable to their taxpayers, with municipal performance data publicly available through AduanKu. 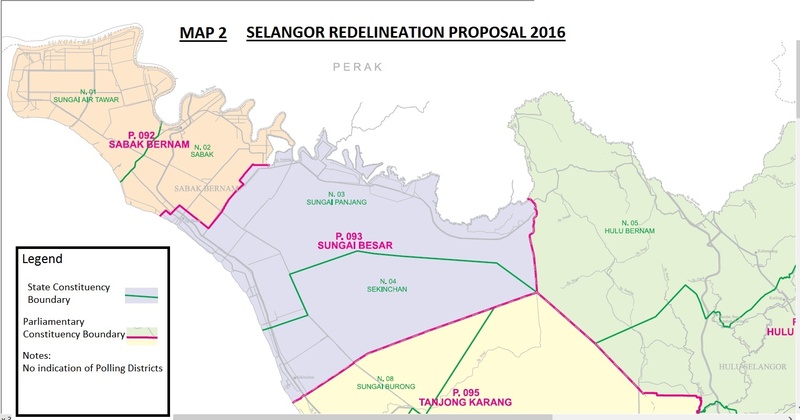 The Subang Jaya Municipal Council, for example, has had 292 problems reported, fixing 115 of them. 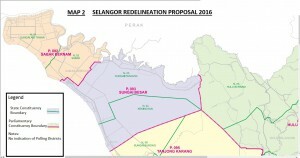 AduanKu is currently available in a limited number of municipalities, but Sinar plans to expand the service throughout Malaysia. 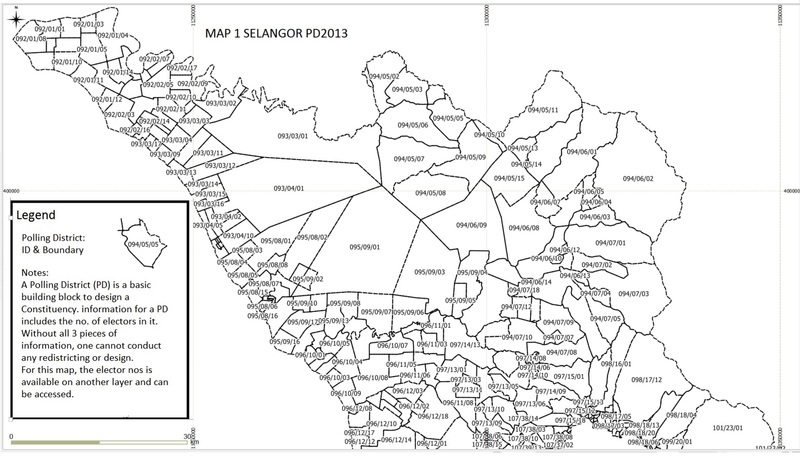 Sinar also has a variety accountability projects on the national scale. Their BillWatcher application enables Malaysian citizens to monitor the status of upcoming bills in both the national parliament and state assemblies. Their Malaysian Representatives project aims to provide citizens with background information on all members of Parliament, including contact information, work history, and known assets. 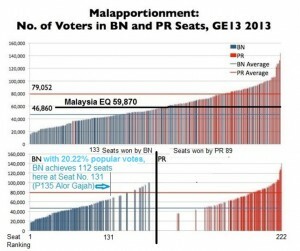 While these applications are informational in nature, they help create transparency in the Malaysian political system by educating the voting public about the actions of their elected officials. For a nation with a voter turnout of over 84%, this sort of transparency can go a long way to bringing about change. All of the Sinar Project’s code is open source, and can be found on GitHub here.